Taste the difference with TAKEYA's Cold Brew Coffee Maker. The traditional hot brewing process releases undesirable acids and oils, resulting in bitter flavor and acidity that is intolerable to many. With cold brewing, only the naturally delicious coffee flavors are extracted, leaving behind the bitter oils and fatty acids, creating a perfectly balanced, smooth extraction of concentrated coffee. 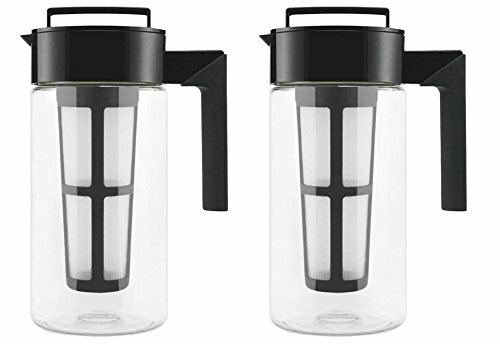 Once brewed, concentrated coffee can be kept fresh in the TAKEYA airtight Cold Brew Coffee Maker for up to 2 weeks and used for both hot and iced coffees.